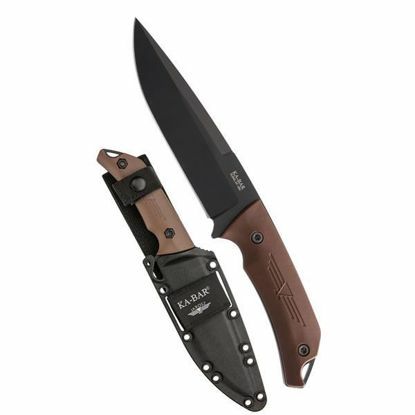 Ka-Bar has been making knives since 1898 and each knife undergoes our unique manufacturing processes and testing to ensure corrosion resistance, strength, edge holding ability, and an out-of-the-box razor sharp cutting edge. 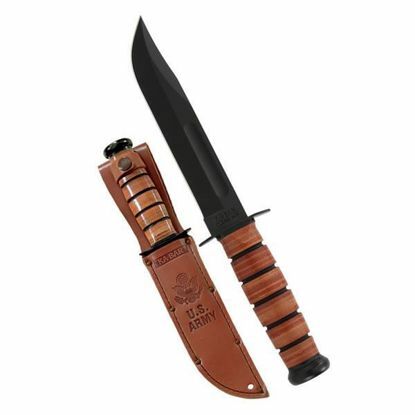 The most famous fixed-blade knife in the World - "the KA-BAR" - was designed to serve our troops during World War II and is still doing its job, with honors, more than 50 years later. 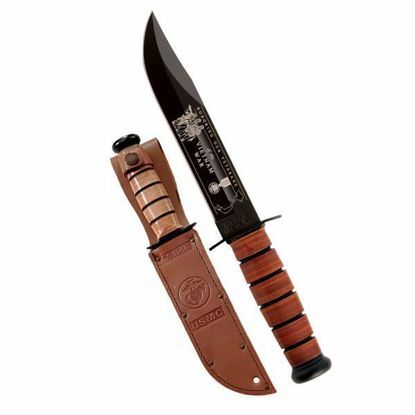 This knife has been decorated with carefully designed blade art meant to honor our Veterans of the Vietnam War. The KA-BAR 7503 Jarosz Turok is the second knife under the KA-BAR/Jarosz banner. The Turok is made in the USA from 1095 Cro-Van steel. 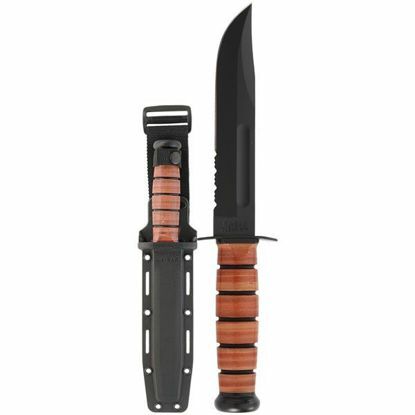 It measures 11.5" overall, features a blade with a 6.25" length and is sold with a Celcon sheath. The most famous knife in the world gets updated with a serrated edge to better cut synthetic and looped materials. Tang stamped USMC. Hard plastic MOLLE compatible sheath included.